Carolyn has been living without a spleen for nearly 30 years. Most of us know that the heart is responsible for pumping blood through our bodies, the brain acts as the body’s control centre and the job of the kidneys is to remove waste and extra fluid from our blood. But what about our spleen – that oval-shaped organ that sits under our rib cage on the left-hand side of the body ­– what does it actually do? The spleen is a busy organ and is often on the front lines of your body’s defence against infection. Here are some cool facts about the spleen to help shed some more light on its role in the body. The spleen is like a security guard for the body, letting healthy blood cells pass through it and stopping unhealthy ones in their tracks. The spleen recognises old, or damaged red blood cells and removes them from your body by breaking them down and saving any useful components, such as iron, in the process. This keeps the blood circulating in your body clean and functioning at its best. Your spleen is also wonderful for picking out any unwelcome bugs from your blood stream. Specialised white blood cells, called lymphocytes, munch up the bacteria that have a coat around them (encapsulated bacteria) and destroy them. The most common bacteria that cause infections in people without a functioning spleen function are pneumococcus, meningococcus and Haemophilus influenzae type B. These bacteria can be transferred from person to person through droplets of saliva or mucus, such as when a ‘carrier’ sneezes or coughs near or on you. 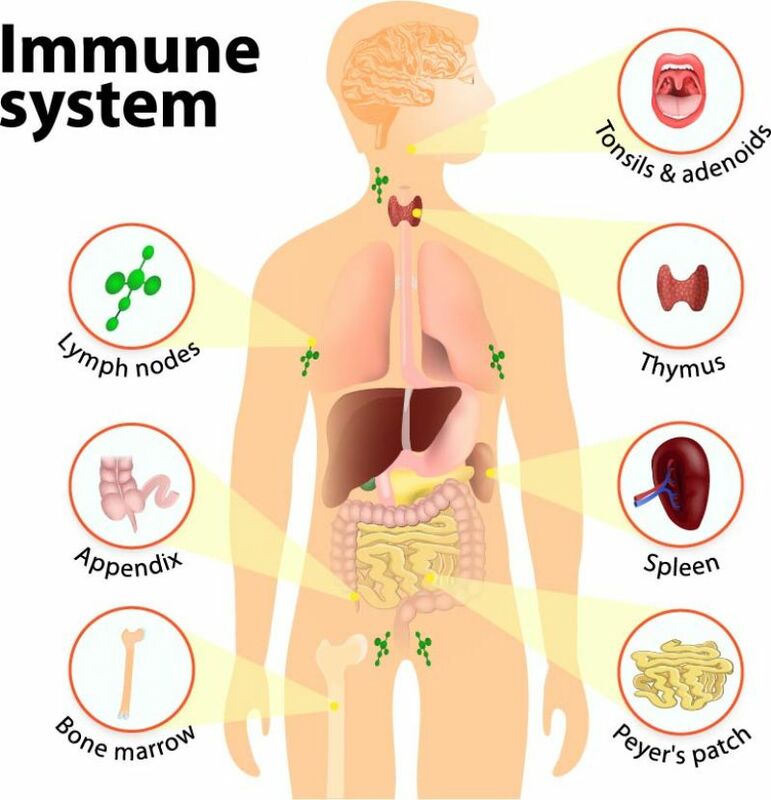 In a healthy person, this rarely causes illness, however vulnerable people – such as those living without a functioning spleen, may become ill if their immune system is unable to keep the bacteria in check. If a person has had their spleen removed, is born without a spleen (asplenia), or is diagnosed with a spleen that is not working (hyposplenism), they have an increased lifelong risk of bacterial infections. Keep reading to find out what life is like without a spleen and what extra care must be taken to protect the body. The spleen stores blood and when a person loses a lot of blood, for example in a bad car accident, the spleen can respond by releasing blood back into your blood system. The healthy adult spleen weighs around 200g. However, it can become significantly larger when a person is unwell. Certain medical conditions place great strain on the spleen and make it big (splenomegaly). Some reasons for an enlarged spleen are infections (malaria), liver disease and some blood cancers. Glandular fever has also been known to make spleen large and very rarely can lead to a spontaneous rupture. Fractured ribs, from for example a car accident, can lead to the spleen being punctured by one of the pointy ends of the rib. If this happens it can be life threatening as a large amount of blood can go into the abdomen and leave the circulating blood stream. This type of bleeding can be potentially fatal and surgery to remove the spleen (splenectomy) is often done in an emergency. That’s right, it is in fact possible to live without a spleen - 3,000 Queenslanders are currently living without a spleen or with reduced spleen function. Brisbane nurse Carolyn Hartwig has been living without a spleen since undergoing surgery nearly 30 years ago to treat a rare medical anomaly. She is a passionate advocate for the Spleen Australia registry, which aims to prevent serious infections in people living without a functioning spleen through support and education. 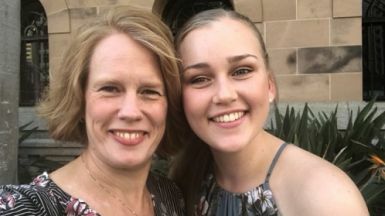 Ms Hartwig said before joining the spleen registry, she was unaware of how much important information she was missing out on – which meant she was not actually up to date with her required immunisations, did not possess a medical alert card or bracelet and did not have access to emergency antibiotics. “I have always been fairly aware of the importance of self-care after my splenectomy and had thought I was well informed. I was however not as well informed as I should have been,” she said. “Due to my registration with Spleen Australia, my family and I now have an increased awareness of everything from the immunisations I need to have, to the importance of seeking medical attention in the event of a cat scratch or dog bite. If you do not have a spleen, or have a spleen that doesn’t work, you can register with Spleen Australia to access information and support to assist with managing this aspect of your health. medical information on managing asplenia or hyposplenism. a credit-card sized 'spleen alert card' - to be carried at all times in case of emergencies - as well as other educational material. an annual newsletter providing reminders for flu vaccinations and booster vaccinations. access to phone support for questions, via 1800 SPLEEN (1800 775 336) information on where in Queensland they can access medical advice for overseas travel.